A decision by the Supreme Court of Canada to hear the federal government's challenge of Omar Khadr's youth status stunned his lawyers on Thursday, although not much would have changed for him if the decision had gone the other way. A parole hearing is now set for next June. A decision by the Supreme Court of Canada to hear the federal government's challenge of Omar Khadr's youth status stunned his lawyers on Thursday, although not much would have changed for him if the decision had gone the other way. Khadr, whose eyesight is said to be failing, had already agreed to remain in a federal prison even though Alberta's top court had ruled unanimously he should be deemed a young offender and moved to a provincial facility. Nevertheless, the high court decision took his lawyers by surprise. "I'm stunned," Nate Whitling, one of Khadr's lawyers, said from Edmonton minutes after the high court said it would hear the case. "We're of the view there's no merit whatsoever to the government's position." Khadr's lawyers had previously decided a penitentiary affords him better program opportunities than he would get in the provincial system. However, the bigger issue is that he remains classified as a medium-security inmate, a security rating that compromises his chances for parole. Although eligible, he had not applied for parole earlier out of concern he would be turned down and would have to wait at least two more years for another hearing. The Supreme Court of Canada will hear Ottawa's appeal of an Alberta court order that former Guantanamo Bay, Cuba, prisoner Omar Khadr be transferred to a provincial facility to serve the remainer of his sentence. 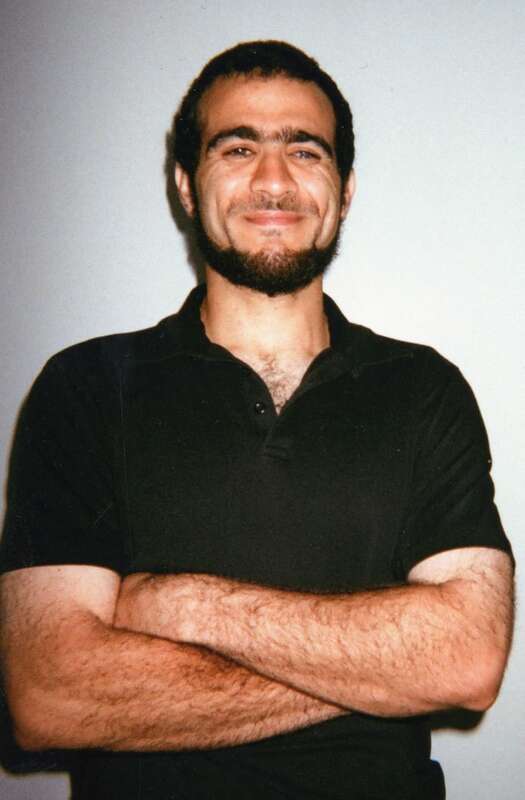 (Bowden Institution photo/Canadian Press)Now in his 12th year in custody, Khadr is serving out a plea-bargained eight-year sentence handed down by a widely discredited U.S. military commission in October 2010 after he pleaded guilty to five war crimes, including murder. Lawyer Dennis Edney told CBC News Thursday that a parole hearing has been set for June 2015. His legal team hopes Khadr will be reclassified as a minimum security prisoner by that time. Although he was 15 years old when the offences occurred in Afghanistan in July 2002 — numerous legal experts say that makes him a youth under international law — the military commission made no distinction between juveniles and adults. The Toronto-born Khadr was returned to Canada under the International Transfer of Offenders Act in September 2012, requiring correctional authorities to decide what the sentence meant under Canadian law. Ottawa, which has branded Khadr, now 28, an unrepentant terrorist, argued his military commission punishment was equivalent to five eight-year terms to be served concurrently, making him an adult. Khadr's lawyers argued their client had received a single global sentence of eight years, which could only be considered a youth sentence under Canadian law. In July, Alberta's top court sided with Khadr's view, prompting Ottawa to ask the Supreme Court to hear the case — the third time the country's highest court will deal with the Toronto-born Khadr, who is currently incarcerated in Bowden Institution in Innisfail, Alta. The two previous decisions went in his favour. A spokesman for Public Safety Minister Steven Blaney said the government wants to ensure Khadr stays in a federal penitentiary — "where he belongs." "We are pleased with the decision of the Supreme Court to hear this matter," Jason Tamming said in an email. "We do not agree that a youth sentence is appropriate." Before question period Thursday, Blaney's parliamentary secretary Roxanne James said she was pleased the Supreme Court would hear an appeal of "the reckless decision to send a terrorist to juvenile detention." Edney, one of Khadr's lawyers, said the federal appeal comes despite the unanimous ruling by Alberta's top court. The government has already wasted millions of tax dollars litigating against his client, he said. "This was a continuation of spiteful acts taken by this government to demonstrate it is tough on crime," Edney said. "We will be going back to the Supreme Court for a third time to continue the fight." Khadr lost sight in one eye during the bombardment in Afghanistan in which the Americans captured him. Shrapnel wounds are now threatening the sight in his other eye, his lawyer said. "Very quickly, Omar's eyesight has started to go down," Edney said in an interview.